For a lot of riders, it's hard to shake the mental image that comes to mind when they see the worlds "Primal Wear"—that image is usually of a man, in a too-tight jersey. This jersey is usually a vibrant color and is plastered with graphics that you either love or hate. Primal Wear kind of owned the market in obnoxious sausage-suit tops back in the mid to late `90s. It'd be unfair, however, to pigeon hole Primal Wear as the clothier of middle-aged guys with questionable fashion taste. It was the nineties—let he who didn't rock a mini-truck mullet or a fanny pack be the first to cast forth the stone. That line is in the bible, so I know it's true. But here's what I'm getting at: Primal Wear makes all manner of apparel—both custom stuff and their own kits—and much of it looks pretty damn sharp. 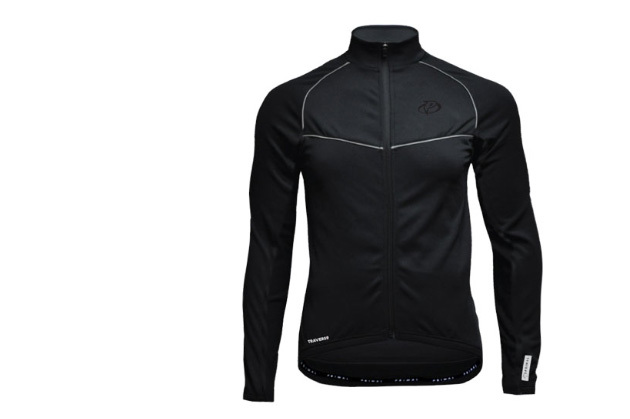 The Fusion Thermal Jacket is a good example. So here are the basics: the Fusion is made from a fabric Primal Wear calls "Strata". It's a thermal fabric with just the right amount of stretch and pretty darn good breathability. The jacket sports three rear cargo pockets—an old-school touch that's nicely functional. If you remember Primal Wear as the company with the loud print jerseys, you might be surprised to find just how subtle many of their newer pieces are. The Fusion is a nice..and sleek… bit of kit. I've been using this thing off and on for a year. Up here in the far Northwest corner of Washington state, our winters tend to be more wet than cold, but this season has included about three weeks worth of sub-freezing temperatures. In truth, once the mercury drops below 32-fahrenheit (that'd be 0 for all you Celsius folks), this jacket shows its limitations. 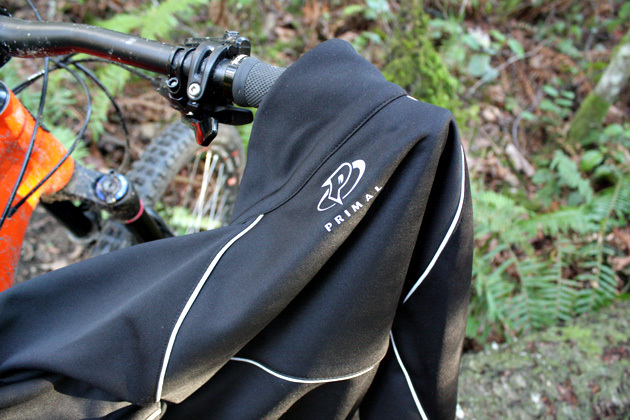 The Primal Wear is fine if you're powering away in the woods, but if your ride also features wide-open places blasted by big, gusty winds, you'll want to opt for something that features a more sophisticated fabric like Gore's WindStopper. In fact, the Gore Fusion jacket that I profiled earlier this year is a much better choice for sub-freezing days. Primal Wear's Fusion, however, is a solid choice on milder days (the high 30’s) that are still too cold for you to get away with simply rocking a long-sleeve jersey. If you're battling the bulge, you might find the race-cut proportions a bit stifling. I'm 170 pounds—not a heavy-weight by any means—and I caught myself almost asking my wife if the jacket made me look fat. Then I hated myself for even thinking it. But, you get where I'm going with this: the Fusion will not be a flattering coat for anyone who really appreciates a good six-pack of beer or a bag of pork rinds in a single sitting. The reflective piping is a nice touch—the jacket would be a poor choice for commuters if it weren't for all the reflective highlights, but as it stands, the Primal Wear offers surprisingly good visibility for something that bucks the whole safety-yellow trend. In short, the Fusion is a solid bit of apparel if your winters are relatively mild. It handles the frosty days just fine, but if there's snow on the ground or a windstorm brewing, reach for something a bit warmer.